17 | January | 2014 | Whats Happening? When: Saturday, January 18, from noon – 4:00pm. 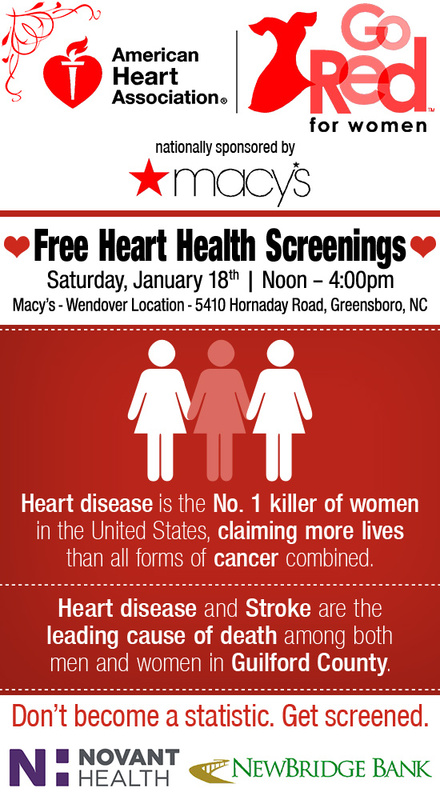 Heart disease is a growing problem, and early detection can be the key to saving lives. That’s the message from Joanne Allen, President of Novant Health Kernersville Medical Center, and this year’s chairwoman of Guilford County’s Go Red for Women campaign.